Read about the creepy ghost stories shared by the stars of 2017 Metro Manila Film Festival entry Haunted Forest, starring (L-R) Jon Lucas, Maris Racal, Jane Oineza, and Jameson Blake. Stars of the 2017 Metro Manila Film Festival (MMFF) entry Haunted Forest shared their personal ghost stories that are eerie enough to make one’s skin crawl. Maris Racal, Jameson Blake, and Jon Lucas recalled their ghost stories during the promotion of their film, which will open on Christmas Day, December 25, together with other MMFF 2017 entries. MARIS RACAL. Former Pinoy Big Brother housemate Maris revealed that her scary experience took place at a mall in Quezon City. “Sa mall nag-CR ako. Tapos biglang lumabas lahat ng tao. When she was left alone in the comfort room, the actress saw someone pass by in her periphery. “May dumaan dito [pointing to her side] and yung high-tech na faucet, biglang nag-on lahat. Mag-isa lang po tapos nag-on na lahat,” she recounted. She pointed out that the faucets have sensors that automatically turn on upon detecting hands. JAMESON BLAKE. Jameson Blake, a member of the Hashtags, described the experience of his fellow Hashtags member. “Meron kaming kagrupo, yung PA [personal assistant] niya can see ghosts or something. 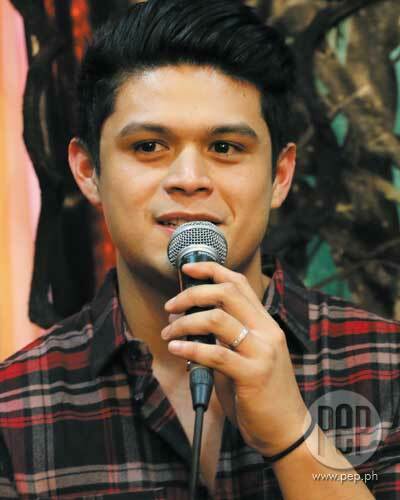 "Tapos si Zeus [Collins] yung isang member, nawalan siya ng phone, tapos we were looking for it. “Tapos yung PA ni Ryle [Santiago, another Hashtags member], she saw this baby pointing at the area, sa CR namin. He continued that the missing phone was in the CR. JON LUCAS. Hashtags member Jon recounted an unusual incident that he experienced when he was just a kid. “Grade IV ako, kasi mahilig akong maglaro sa barangay namin po, yung mga larong bata, batuhan ng ice tubig. “Parang one time, may nabato ako ng isang puno. Jon said he heard voices in his head at nighttime, urging him to cause harm to his sleeping family members. He said that his parents sought the help of albularyo to aid him. PRODUCTION MEMBERS' ENCOUNTERS. It was not only the stars who had creepy experiences, but also some members of the production staff. Director Ian Loreños shared the experience of their production designer on location. “They have to go sa set para i-set up yung forest stuff. “There was one moment, biglang may nagpakita sa kanya ng isang grupo ng babaeng nakaputi. Scriptwriter Jeps Gallon, recalled his experience with a doppelganger as a kid. “Isang beses, nagising ako ng tanghali. Iniwan ako ng parents ko. “Mga around 3:00 ng hapon, punta ako sa hagdan, nakasalubong ko yung daddy ko. “Ginulat niya ako. Nalaglag ako sa may hagdan. Produced by Regal Films, Haunted Forest also stars Jane Oineza, Joey Marquez, and Raymart Santiago. In Haunted Forest, Jane Oineza is cast as Nica, the city girl who moved to the province with her father (played by Raymart Santiago). Unfortunately, Nica gets an encounter with the paranormal and becomes a potential victim to an entity determined to take her life. Will she survive? Maris Racal plays Mich, cousin of Nica (portrayed by Jane Oineza). She gets to witness the events in Nica's life that have to do with the paranormal. Will she be able to help her cousin? 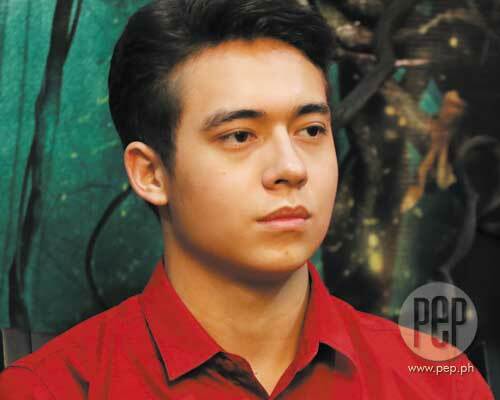 Jameson Blake portrays RJ, a boy from the province who eventually becomes friends with Nica (Jane). Will he be able to save his newfound friend from a potential danger and save her life? Hashtags member Jon Lucas portrays Andre, the member of the gang who is bubbly and happy-go-lucky. The cast of the 2017 Metro Manila Film Fest entry Haunted Forest during the press conference. (L-R) Director Ian Lorenos, Jon Lucas, Maris Racal, Jane Oineza, Regal Films matriarch Mother Lily Monteverde, Ms. Roselle Monteverde, and Jameson Blake.